This is certainly a pretty solid story, especially given the news that we just heard about CyanogenMod getting a new set of servers to build its ROMs faster. 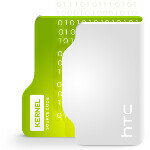 HTC has released the source code for a whole bunch of devices. This is one of those benefits of the Android Open Source Project that has a lot of good points, but for our purposes, the best outcome is in custom ROMs. HTC has just released the source code for 6 different devices and multiple variants of each, which adds up to 18 different kernel drops. The devices included are the Sensation, Sensation XE, Vivid, myTouch 4G Slide, Desire HD, and even the HTC One V which hasn't even been released in many regions yet. The source code for most of the devices are Ice Cream Sandwich kernels, but the myTouch 4G Slide and Desire HD are Gingerbread code. With any luck, the CyanogenMod team and other developers can use these to put together some custom ROMs for these devices pretty soon. We'll keep an eye out.